The regular use of virtual learning environments by educational institutions and the availability of large quantities of data regarding the teaching and learning process both challenge teachers, institutions and researchers to explore such data within the perspective of learning analytics in order to obtain indicators which might contribute to the improvement of the teaching and learning process. Consequently, such improvement may lead to students’ better learning outcomes as well as a better relationship with the institution they attend. Taking into account that student retention and dropout from degree courses before their completion have highly negative consequences for a high number of students, the aim of this research is to look into indicators associated with such problems through a mixed methodology, both qualitative and quantitative, and through procedures of analysis and research of data from databases containing academic information provided by a sample of 1,588 undergraduates. The focus of the study lies upon the relation and analysis of the following variables: students’ frequency of access per course unit to the virtual environment of the institution they attend; quantity of course units passed; and mean of the marks obtained in the course units passed. Among the results obtained, we highlight the existence of a positive degree of association with moderate correlation between the variables frequency of access per course unit to the virtual environment and the mean of the number of course units passed. Following the division of the sample into four different groups, each group corresponding to one quartile, resulting from the data regarding the frequency of accesses per course unit to the institution’s virtual environment, significant differences were found concerning the mean of the course units passed between the groups showing a higher frequency of access to the virtual learning environment and those with a lower access frequency, to the advantage of the groups showing a higher frequency of access to the virtual environment. Therefore, considering the way the groups were constituted, there is proof that the higher the frequency of access to the virtual environment is, the higher the probability of students succeeding in the course units they attend will be. Aggregation in Education - Distance education and elearning. Ph.D. in Education in the area of Teaching Methodology of Mathematics and Master in in Educational Technology, University of Minho, Portugal. Is Professor at the Polytechnic Institute of Bragança. Is researcher at ICCS-Research Centre for Child Studies. The research interests include: educational technology, ICT applied to mathematics. Ph.D. in Technology and Information Systems, University of Minho, Portugal, and Master in Multimedia Technology from the University of Porto, Portugal. Is e-learning coordinator and professor at the Polytechnic Institute of Bragança. The research interests include: e-learning, web development and multimedia. MORAIS, Carlos; ALVES, Paulo Alexandre; MIRANDA, Luisa. Performance indicators in higher education with learning analytics. 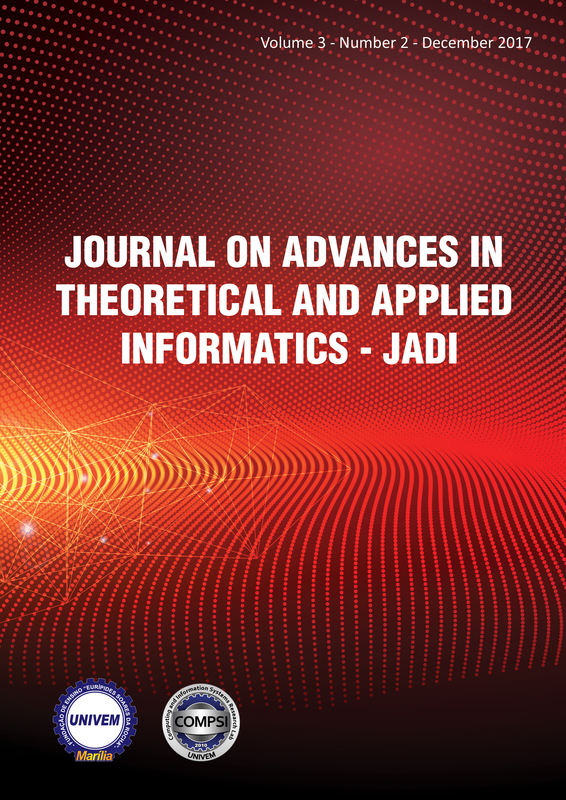 Journal on Advances in Theoretical and Applied Informatics, [S.l. ], v. 3, n. 2, p. 12-17, dec. 2017. ISSN 2447-5033. Available at: <https://revista.univem.edu.br/jadi/article/view/2466>. Date accessed: 24 apr. 2019. doi: https://doi.org/10.26729/jadi.v3i2.2466.